Former IRONMAN World Champion, Craig ‘Crowie’ Alexander will be attending the third edition of Australia’s Triathlon Endurance and Cycling Show (ATEC) this September as an official ATEC Ambassador. In addition, Crowie will be bringing Sansego, his coaching platform and training community led by his personal team of coaches. 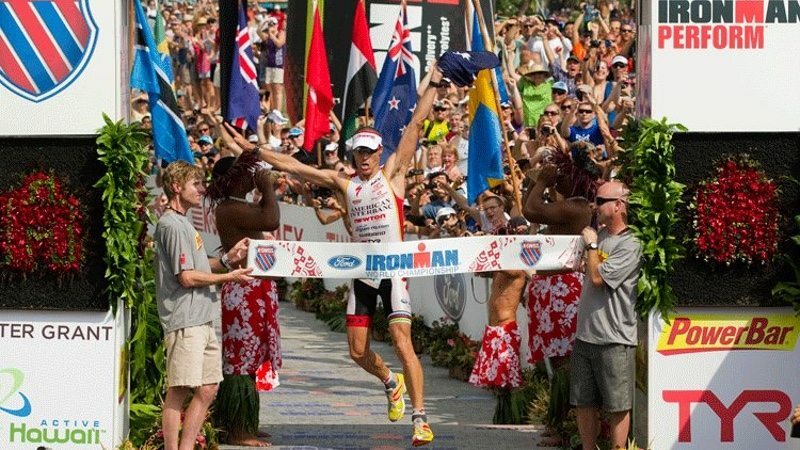 Crowie is a three-time IRONMAN World Champion (2008, 2009, 2011), 2 x IRONMAN 70.3 World Champion (2006, 2011) and three-time Australian Long Course Champion (2010, 2006, 2004). Crowie has also received multiple prestigious sports awards and, perhaps most meaningfully, was lauded as ‘the first true men’s champion the sport has seen in years’ by none other than IRONMAN legend and six-time World Champion Dave Scott. During the ATEC weekend, Crowie will take part in a 45-minute Q&A session on the show’s main stage, two ‘meet & greet’ sessions and live coaching workshops presented by Sansego. ATEC’s new show format is taking shape and a number endurance experts and enthusiasts have signed to become an ATEC Ambassador. In addition to Crowie, Pete Jacobs, IRONMAN Triathlon World Champion in 2012, as well as ultra-marathon Pat Farmer, and professional cyclist Henk Vogels are confirmed as official ATEC Ambassadors. ATEC is still assigning a swimming ambassador, to cover all the areas of interest at the show, with further details to follow. In addition, ATEC has launched a newly formed online community platform, hosting ‘relevant, curated expert content by ATEC ambassadors’, and is providing new promotional avenues for exhibitors in the lead up to the show. ATEC is positioned as Australia’s premier event celebrating the endurance lifestyle. ATEC attracts thousands of cyclists, runners, swimmers, triathletes and endurance sports enthusiasts to interact with latest product innovations from leading brands; learn from industry influencers and inspiring athletes; and take part in the many interactive and entertainment opportunities of the show. More than 120 exhibitors from the participation and endurance sports industry are in the pipeline to showcase the latest products and innovations across eight dedicated zones at ATEC. ATEC operating hours are 09:00 – 17:00 Sydney time on Saturday 9 September, and 10:00-16:00 on Sunday 10 September 2017.